The only currency made use of in Bangkok is the Thailand Baht [THB]. The baht is divided into 100 satangs. 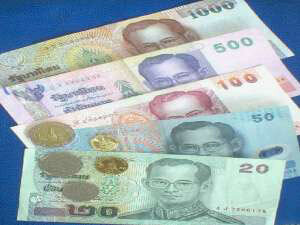 Paper denominations consist of 1,000(gray), 500-(purple), 100-(red), 50-(blue), and 20-(green) baht notes. Coins consist of ten, five, one -baht disks, as well as 50 and 25-satang brass disks.